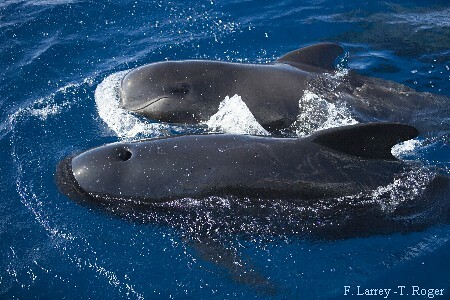 Long-finned pilot whales are the largest of the Delphinidae after killer whales: they can be up to 6 m long and can weigh almost 3 tons. Males live for around sixty years, with some females living to eighty. 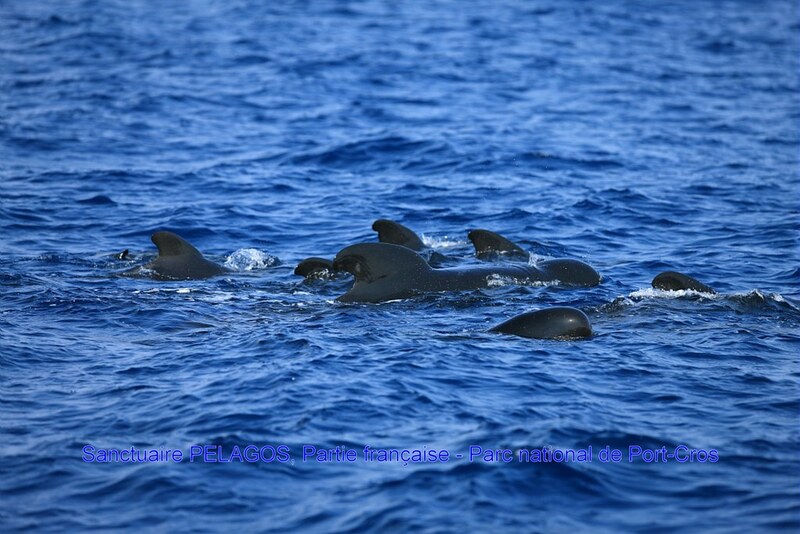 They are extremely sociable animals, living offshore in groups of several dozen. The very strong links between members of each pod are the cause of striking stranding incidents. 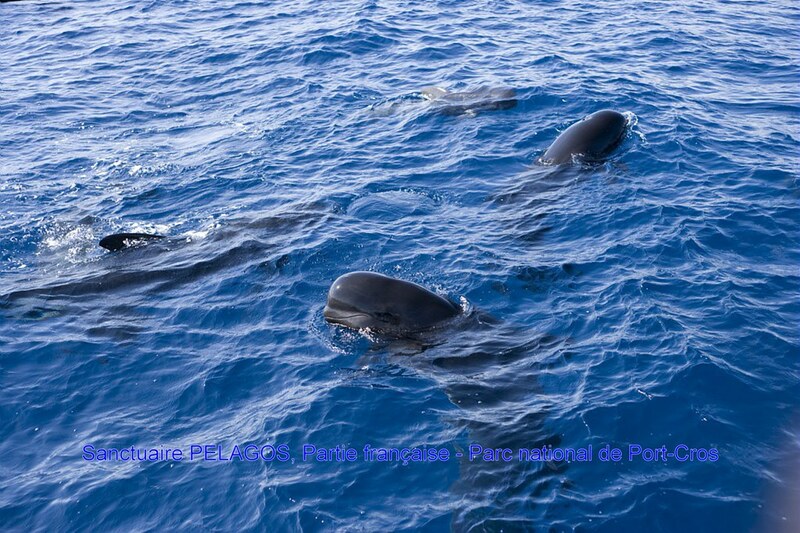 Long-finned pilot whales feed almost exclusively on squid, which they usually capture over 500 m below the surface. The population in the northwestern Mediterranean is estimated to be composed of between 2,000 and 10,000 individuals. They are seen on a regular basis, especially in the summer. The main threats that the species faces are marine traffic, pollution and nets. 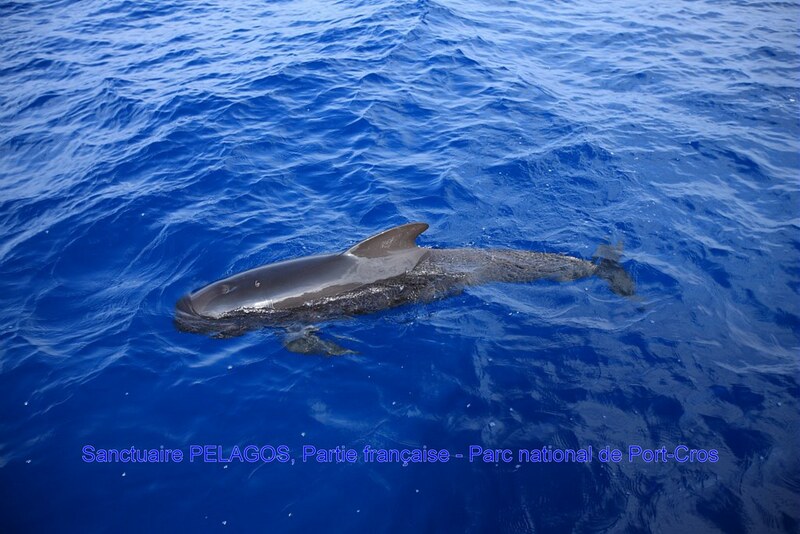 Mass strandings also threaten long-finned pilot whale populations..